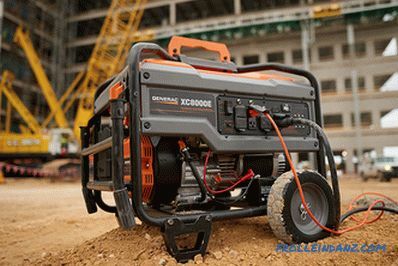 A stand-alone electric power generator is an indispensable device if interruptions occur frequently on the main line or it simply has not yet been brought, for example, to the construction site. It is rare when doubts arise about the need for an independent source of electricity, but how to choose a gas generator is not so easy to determine. Here we have to evaluate a number of parameters: the optimal type of fuel for the device and its power, the need to power three-phase consumers, which type of generator to use, select its additional elements and evaluate how simple it is to install and connect the chosen model. 3. Low oil pressure indicator. 9. Probe and neck for pouring oil. 14. Handle for moving the unit. Internal Combustion Engine (ICE). Provides autonomous operation of the entire device, converting the energy of the fuel into rotation of the shaft. Mostly used gasoline and diesel engine, and there are models that run on gas. In addition to the type of fuel, the engines are divided into two and four-stroke engines - the first ones are much more compact, but require a gasoline-oil fuel mixture for operation, and the latter differ in more “even” work, with better efficiency and less maintenance. Also in the characteristics of the engine can be found the abbreviations "OHV" and "OHC". The first means that the "upper valve" technology is used, which reduces fuel and oil consumption, and the second indicates a novelty in the engine industry - the upper crankshaft, which allowed the manufacturer to reduce wear and tear on parts, increase productivity and add efficiency to the engine. The starter is used to start the engine. It can be manual (when starting is carried out with a cable) or automatic (the scheme is applied as in cars - the start is made by turning the key). In the second case, the start-up circuit can be supplemented by a controller that is connected to the main network and when the power is lost in it, the gas generator is started. Fuel tank. Everything is simple here - the bigger it is, the longer the generator will work without refueling. But since home-class generators are required to take regular breaks, the tank size is often calculated so that the fuel is enough for the recommended length of time for continuous operation. An electricity generator. Responsible for the conversion of mechanical energy of rotation of the shaft of the internal combustion engine into electric. 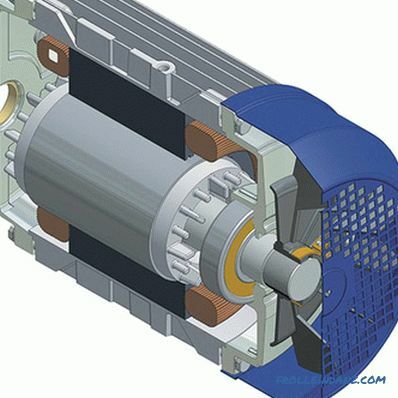 In appearance, this is the same electric motor, but with the opposite principle of operation — when its shaft rotates, electrical voltage is induced on the winding leads. Depending on the class of the entire device, synchronous and asynchronous generators are used. Coupling. Each mechanical device during operation creates some vibrations due to which it is impractical to expend efforts on accurate adherence to the alignment of adjacent mechanisms. The task of the coupling is to transfer rotation from the ICE shaft to the electric motor, while allowing them to position their shafts relative to each other with some error. Usually it is a pair of tapes made of hard rubber or similar material, which will transmit torque, but it will remain quite ductile. The power part of the electrical circuit. Analogue of the apartment apartment entrance - here are located the automatic circuit breakers and terminals for connecting electricity consumers. Frame and body. 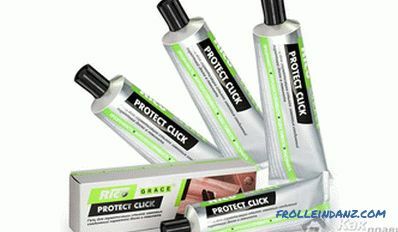 The quality of their performance directly influences the mobility of the entire device and the degree of its protection from rain and other climatic influences. In addition to the mandatory components, there are often additional elements in the generators, the presence of which depends on the manufacturer or the device bundle offered by the store. It would seem on what a gas generator should work, primarily depends on the cost of fuel and its availability in a particular region.At first glance, everything is logical - diesel fuel is cheaper than gasoline, and gas, in turn, has an additional advantage besides the lowest price - it can also be supplied through the gas pipeline (and interruptions in gas supply occur an order of magnitude less often). But the fact that manufacturers offer devices that work from all types of fuel indicates that each of them has its own undeniable advantages, which must be taken into account when choosing. Comparatively low cost, which is much lower than that of diesel counterparts with similar characteristics. Smaller overall dimensions and weight of the device as a whole. Easy start of the engine at low temperatures - the principle of operation of the engine allows without special difficulties to start it at temperatures down to -20, and in some cases even lower. Silent operation of the motor - the sound volume is within 70 dB, which is comparable to the hum of a vacuum cleaner not at the highest revs. Ability to work at idle speed - with a minimum load. Gasoline engines possess relatively low lifespan - few models can step over the mark of 5000 hours. The design of the engine involves regular maintenance - without prevention, the probability of its failure is significantly increased. High requirements for fuel quality. The maximum generator power does not exceed 15 kW. The allowable errors for the output voltage and frequency of the electric current are 10 and 4%, respectively, of the device stated in the passport. Power far exceeds gasoline counterparts with similar characteristics. If for the latter the limit is 15 kW, then domestic diesel can produce power up to 25, and stationary - over 40 kW. 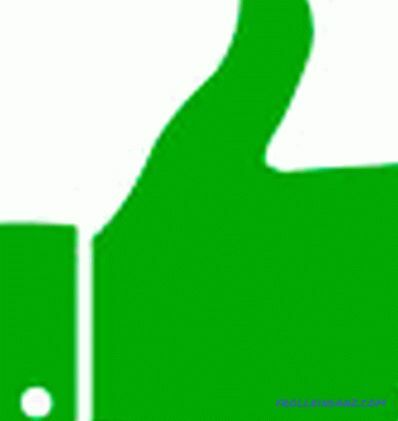 Diesel engines are characterized by more "even" work. The design of a diesel engine makes it possible to operate it without major repairs much longer than the gasoline one - high-quality models have a service life of 40 thousand motochas. The principle of operation of a diesel engine makes it more resistant to the detonation of fuel, and also improves the fire safety of the entire device. General requirements for fuel quality are lower than those of gasoline engines. Since the ignition of the fuel mixture comes from compression, a cold engine at negative temperature starts up poorly at -5 0 C and below. 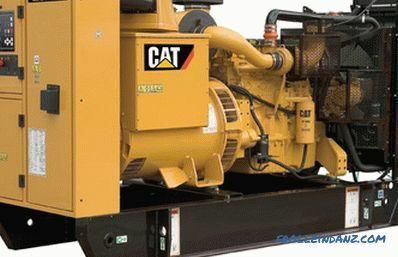 If less than 40% of the load (of the rating) is connected to the generator, the diesel engine may stall. When using a diesel engine, the error from the stated voltage and frequency in the passport is 1 and 2.5%, respectively. Reduced cost per kilowatt-hour, as the price of gas is the lowest of all fuels. Increased service life, as less gas is formed in the cylinders during gas combustion. 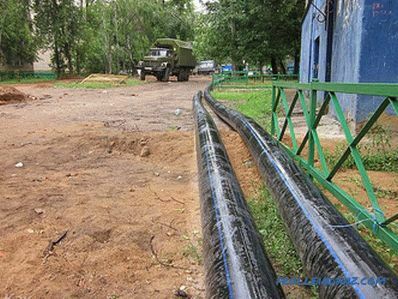 Ability to work from the gas pipeline - in this case, the term of uninterrupted operation depends only on the engine's capabilities. The reducer allows using several types of gas as fuel: natural (from the gas main), liquefied (sold in cylinders), coke oven gas, pyrolysis, biogas and others used in industry. Although motorists note that installing HBO slightly reduces engine power, but since the generator does not need to change load modes frequently, this difference is not felt in any way. We determine the range of tasks to be solved. 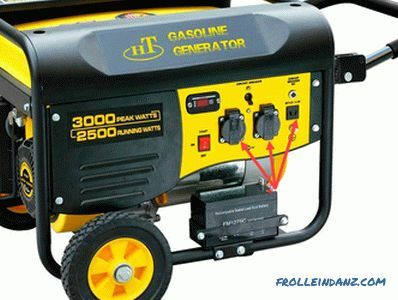 The first thing to do before choosing a gasoline generator is to determine the tasks that will be solved with its help. 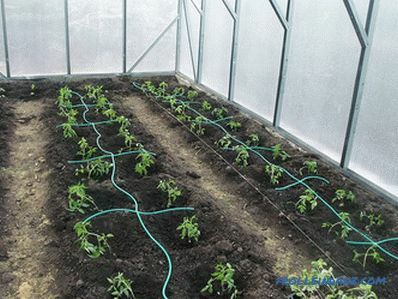 It is clear that for the dacha and the production enterprise it is necessary to acquire completely different devices, but which one is suitable in a particular case, it must be determined on the spot. 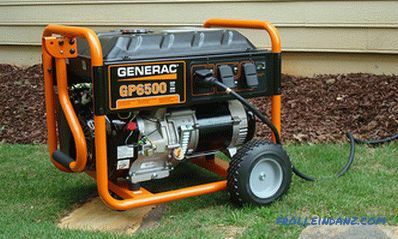 Even if you simply buy a generator "like a neighbor", it is not a fact that its needs will be the same, which means either an overpayment for excessive power or the inability of the gas generator to cope with the load placed on it. 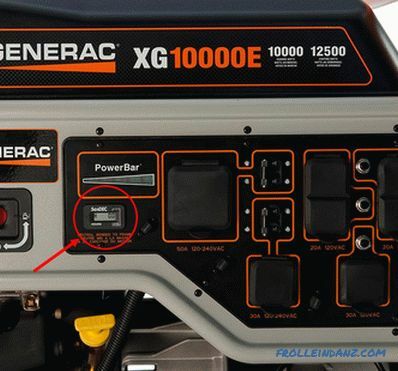 If you install the generator in the area to which the power supply line is connected, you will only be able to use it in the event of a power outage. Often do not require a large supply - 3-4 hours of uninterrupted work, which are designed for gasoline generators, it will help to wait for the shutdown. Also, such devices can be used in places where there is no electricity at all, but the scope of work is small and does not require its constant presence. When you need a constant source of electricity, even if you need to connect not very powerful electrical appliances, then you need to look in the direction of diesel devices. Even low-power generators can be designed for long-term operation, and devices delivering 15 kW and more are generally equipped with water cooling and they can not be turned off around the clock. These two concepts are often incorrectly correlated with each other. Depending on the task, you can choose a gas generator, which without interruption is able to work for only an hour, but at the same time it will provide electricity for the device with a total capacity of up to 10-15 kW. On the other hand, you can pick up a generator that will work 4-5 hours, but in total it can "hang" a load of no more than 5 kW. The same applies to the generators for uninterrupted operation - if over time the work here questions should not arise, then the power they may be very different. 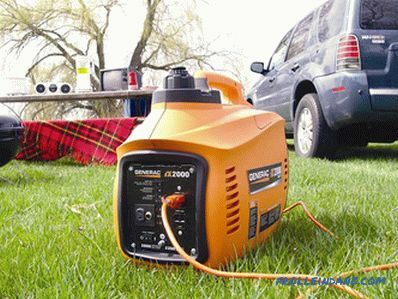 Petrol generators are not necessarily used for any work - there are a number of portable models that you can take with you when going out in the nature: hiking or fishing. The weight of such devices is about 15-25 kg and they are specially made in the form of a small suitcase with a handle for easy carrying. Also, such devices will be appreciated by specialists who may need electricity when conducting field work. For construction work, more powerful gas generators are needed, but still having sufficient mobility to move them around the construction site. In this case, it is necessary to choose frame type generators - some of them are even equipped with wheels so that they can be moved by the forces of one person. It is also necessary to estimate in advance whether there are any restrictions on the permissible noise level at the place of use of the device. If so, then it is better to pick up gasoline models. Also, such generators will show themselves better in the cold season, while diesel ones will have to be additionally warmed up before starting. You should also pay attention to the level of dust and moisture protection of the case - the body of the gas generator is responsible for this. Standard marking is applied here - from IP24 to IP54. Here it is necessary to take into account several very important points, the first of which is the cost of devices. Three-phase generators, as well as single-phase, are available with all types of engines - gasoline or diesel, but those devices that produce three phases are noticeably more expensive than single-phase ones. In this part of the buyers prefer to take a three-phase generator and use it to connect single-phase electrical appliances. 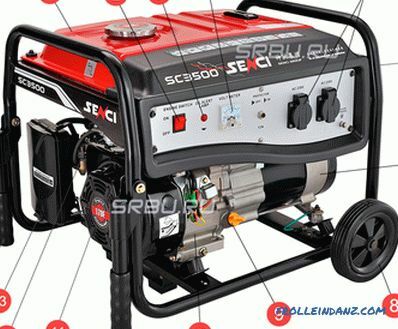 They are guided by the fact that the three-phase gasoline generators are supposedly more reliable overall, and most importantly - they are universal - when the three-phase equipment appears in the household, then there will be much to connect it with. In practice, however, everything is different - for comfortable operation of a three-phase generator, the load on its phases should be evenly distributed and this is possible only when three-phase current consumers are connected to it or correctly distributed in phases of single-phase devices. The last few people can competently do, especially considering that all these devices must be turned on all the time - otherwise a load imbalance occurs in phases and the generator will work for wear. This means that it will produce not the nominal voltage, the generator winding will overheat, the engine will be overspray of oil and fuel - if for a long time the gas generator is working in this mode, then it will quickly fail. As a result - if there is no extreme need for connecting three-phase equipment, it is always better to buy a single-phase generator. In that case, if there are many single-phase devices and one three-phase device, then you need to look at the price - it may be cheaper to change this single device to a single-phase device than to buy a three-phase generator. If you need exactly a three-phase gas generator, but single-phase devices will additionally be connected to it, then it must be remembered that it is impossible to simultaneously hang up equipment with a power difference of more than 25-30% for neighboring phases. In simple words, if an electric kettle with a power of 2 kW is connected to one phase, a couple of 100W lamps are on the other, and the third is not turned on, then the generator at the moment feels very bad. The fundamental difference between synchronous and asynchronous generators lies in the frequency of rotation of the magnetic field in the stator windings - the fixed part of the device. In a synchronous generator, it is equal to the rotor speed, and in an asynchronous one it is lagging behind, which causes its name. If you do not go into technical details, in simple terms for the user, this difference means that the synchronous generator produces a more stable voltage, whereas for an asynchronous device its value can "float" within 10% on the nominal and fully dependent on the frequency of rotation of the engine shaft. This means that after a certain number of hours, the stability of the asynchronous generator will lose to the synchronous one. There is also, though not always explicit, but the dependence of the stability of the asynchronous function on the quality of the fuel - if the ICE “sneezes”, then the voltage will again “float”. Another important criterion is the ability of the generator to withstand short-circuit currents. There is a clear advantage for asynchronous devices, since there is no additional winding on their anchor (rotor). Accordingly, asynchronics are better suited for powering welding machines. The last important point is the dust and moisture resistance of devices, which also depends on the presence and absence of windings on the rotor. If the asynchronous switch can be made completely closed (there is no winding at the anchor), then a constant flow of air must be provided to the rotor of the synchronous generator to cool the winding. If it is intended to work in places with strong dusting, then you will additionally have to solve the problem of air filtration that will cool the armature winding. As a result, the asynchronous generator is structurally simpler and has better protection against dust and moisture, and is also better suited for powering welding equipment. In turn, the synchronous gas generator is distinguished by the stability of the generated voltage, but requires periodic maintenance of the rotor brush assembly. 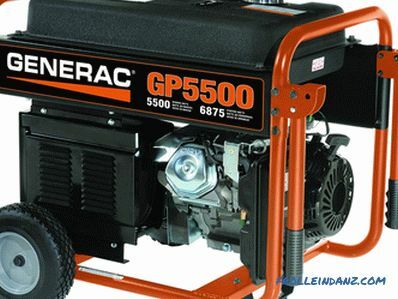 But the last problem is gradually going away, as manufacturers have mastered the production of brushless synchronous generators (with a squirrel cage) - these are the devices that are currently installed on the vast majority of petrol generators. In general, the selection of the power of a gas generator is reduced to the arithmetic addition of the number of watts for which all devices are designed to be connected to it. This opinion is completely true, but with some reservations about which it is necessary to remember, performing calculations. 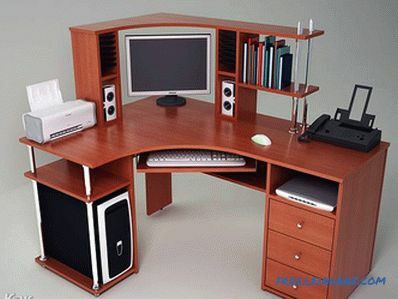 What electrical appliances will necessarily work simultaneously. If there is, for example, a lathe in the garage, it is unlikely that it would be used in parallel with the compressor. On the other hand, if there is an electric oven in the kitchen, then together with it they can easily run a dishwasher or a bread machine. Just in case, which are different. So that the generator does not work constantly in the "wear mode". Starting currents are leveled, which are several times higher than the nominal values ​​of electric motors (of the same refrigerator). 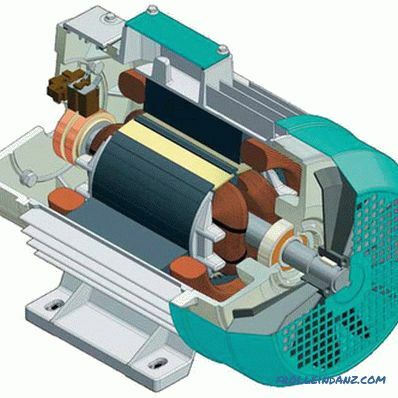 This reserve helps to take into account, besides the active, also the reactive power of the generator itself and the devices connected to it, which can be 1.5-2 times higher than the stated (mostly this is true for electrical appliances, inside of which there is a winding ). If manufacturers indicate the power of equipment in Volt-Amperes, then the calculations will be somewhat simpler. 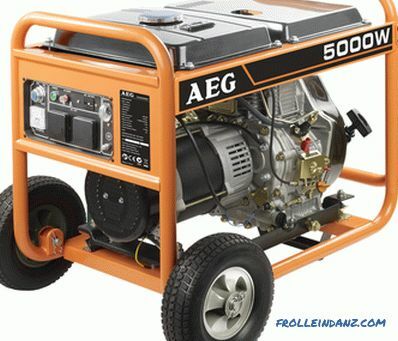 As a result, in spite of the seeming simplicity of the calculations, if the gas generator is selected for simultaneous operation of multiple electrical appliances (for example, for a workshop), it is better to seek advice from specialists.Unsuccessfully selected power will entail an excessive consumption of fuel for an excessively powerful generator, or the need to periodically turn off some electrical appliances. These include various devices that simplify the maintenance of the gas generator, but can be installed depending on the desire of the manufacturer. These are mainly various sensors, status indicators or safety devices. Sockets. Of course, which of them will be installed by the manufacturer, primarily depends on the class of the generator - one or three phase. Also sockets, even single-phase, can be for connecting standard devices and power. Still, some generators have a 12 volt output for which there are separate terminals. Voltmeter. It would seem that this appliance must be present in the electrical circuit of the gas generator without fail. 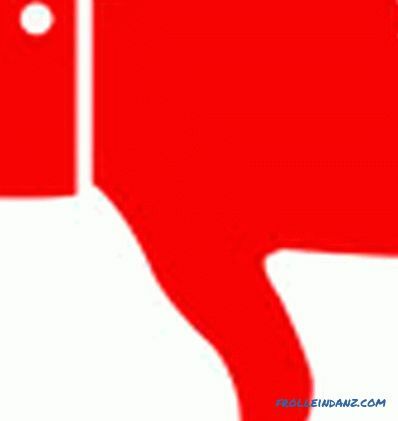 Often this is the case, but on some low-power generators from well-known brands it may not be. It is difficult to assume the desire of manufacturers to save in this way - most likely it is an extra hint of their confidence in the equipment offered to customers. Hour meter. Helps to accurately estimate the time for the next preventive maintenance. It is not installed only on the lightest, low-end models - in this case, the state of the generator will have to be "naked-eyed." Fuel tank with fuel gauge and tap. 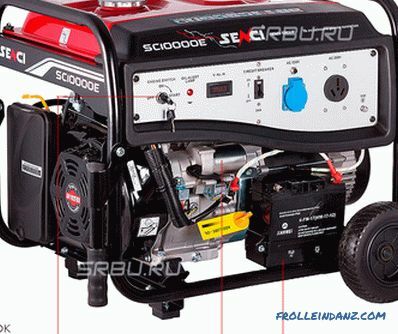 Often, engines and generators are manufactured by different manufacturers. At the same time, the engines for the initial inspection at the factory are completed with their own small tank, which changes during the final assembly. This is especially true of frame gas generators, which are trying to install a gas tank, the maximum occupying the entire usable area. The usefulness and necessity of having a fuel gauge and a crane for its drain, in case of incomplete development, each determines for himself. If the gas generator was not originally designed to work in difficult conditions in an open area, then it should be installed in a dry heated room - this is especially true of devices used as a backup source of electricity . Of course, manufacturers can indicate that the gas generator is able to work for a long time and confidently in the temperature range from -30 to +50 and at the same time it does not prevaricate. But at least here we must take into account the factor of thermal expansion of bodies and the likelihood of condensate. This means that if the gas generator is in an unheated basement, then its temperature will be equal to the surrounding. When it is necessary to start it up, the windings heat up, and when the generator is turned off, they cool down. They collect condensate, which over time can get to the current-carrying contacts and trigger a short circuit. With elevated temperatures, the situation is no better - no manufacturer will specify how long the gas generator will work in this mode, but the device will obviously need to be repaired much earlier. The problem of exhaust gas exhaust and the elimination of noise from the operation of the gas generator must be solved in each case individually. 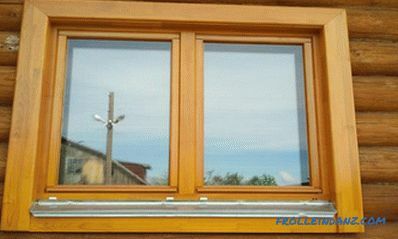 Here you have to decide where to stretch the corrugated hose (so that the exhaust does not get into the house), and what would be better is to make sound insulation or place the petrol generator in a separate room. A wiring diagram for a home electrical circuit is completely dependent on the capabilities of the sockets or terminals installed on the generator. 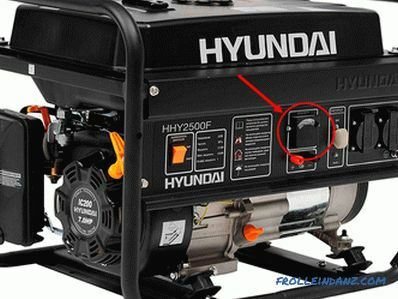 If the generator is powerful and it has several outlets, then they are connected in parallel. 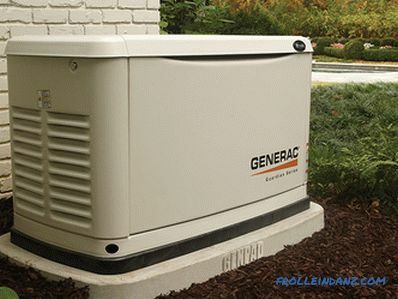 Switching to power from a central power supply or a generator is done either manually or through automation, which monitors the presence of voltage on the line and gives the command to start / stop the engine of the gas generator and connect from the correct source. This is all the information that can help you decide how to choose a gas generator for your home, workshop or trips outside the city. This task is very easy to calculate if the generator is simply needed as an autonomous source of electricity for not too long operation of one or several devices. 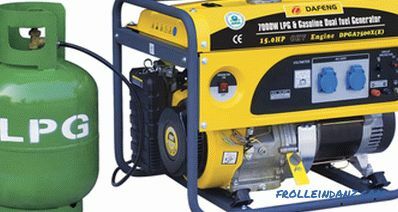 When a gas generator is purchased as a backup for the whole house or production workshop, the complexity of the calculations will increase and if there are doubts about the correctness of the choice of device, it is always better to consult with experts, especially since the information provided will allow you to ask the right questions.